under the small umbrella: Behind the running girl! 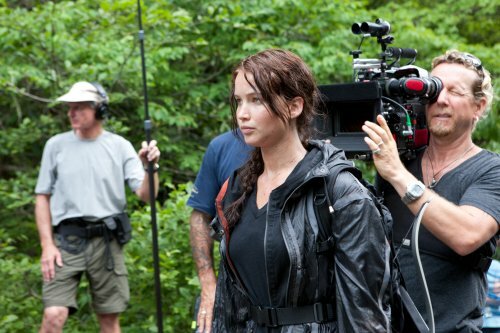 Lionsgate has just sent over the first "behind the scenes" image for the upcoming The Hunger Games. We haven't seen that much from the film. Probably because the film is due out next March but things are coming through slowly.